I have always been around water. I grew up on the California coast. I lived in Santa Barbara, Santa Monica and even did a stint in Hawaii. When I lived in LA, the ocean was only an hour away. When I lived in northern California, it rained quite a bit and the marine fog would roll in from the San Francisco Bay in the evenings. There was so much moisture in the air that the sidewalks would turn green from all of the mold growing in them. Our house was near a greenbelt, where a stream flowed. 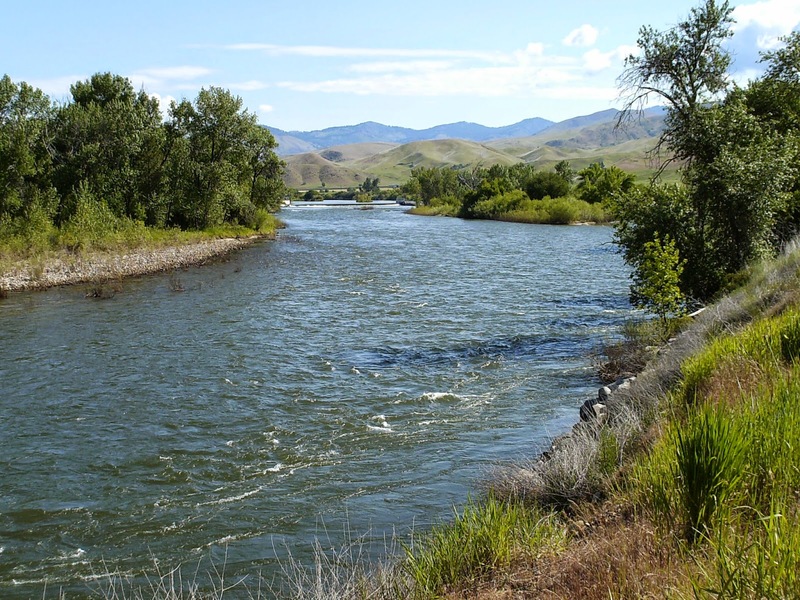 I never started thinking about water until we moved to the high desert of Boise, Idaho. We now live in the mountains, and although I can see the alpine line from my house, we are still in the high desert up here. Every year, I see water in all its forms. In the summer, water is scarce. All of the spring rivulets have dried up. 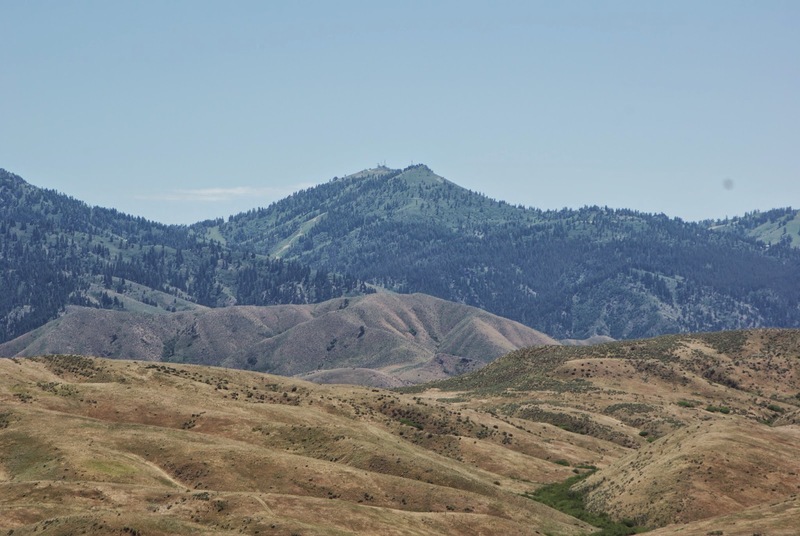 The foothills are dry and no snow sits atop Bogus Basin. In the late fall, we get rain. The cumulus clouds that form over the hills are magnificent. It snows with gusto in the winter. We frequently get ice on the roads and pools of water freeze over. In the spring, we get tremendous thunderstorms, with rain and sometimes hail falling in abundance. Our river runs high because of all the snow melting in the mountains. Water is a precious thing in the desert; the water for our house comes from a deep well, drilled into sandstone before we moved in. This water has been collecting in the sandstone for thousands of years. Without it, no water, no house. So, let's focus on water for a moment. Water vapor is the gaseous form of water and it is invisible. Yet it is everywhere, all around us in the air. If the air is a bit humid, then we sense this moisture in the air. If the air is exceedingly dry, we notice that too, as our skin dries out and we grow thirsty. We mostly don't give water vapor a second thought. But, sometimes, it will manifest its presence. We see water on the cool early morning grass--we call it dew. On colder mornings, we see a white tint to the grass and upon closer inspection, we see water again--we call it frost. If it warms up, the frost will melt into dew. Where did this water come from? It didn't rain...it came out of the water vapor that circulates in the air, and condenses into liquid water. But there's more. When it gets cold in the mountains, and instead of it being bone-dry, we sometimes get an inversion and moisture is present abundantly in the air. Hoar or rime frost will then form on tree branches, fence posts and anywhere else it can gain a toe-hold. The water from the air condenses out and forms frost at first and then with more moisture, the frost grows into larger and larger crystals, which look like ever-growing needles. If the moisture continues, the crystals continue to grow. The snow's surface starts looking like polar bear fur. Water vapor can be easily forgotten, until it manifests itself. It is part of the atmosphere of our earth and part of the air we breathe. In fact, on a cold day, we can see water vapor by exhaling and seeing that wee cloud in front of us. God's creation has His signature on it. Like any great work of art, we can learn about Him from what He created. So, what does water teach us about Him? Let's try to make a woefully inadequate but interesting analogy. God, like water vapor, is a subtle, invisible Presence. He is close to us as our very breath. Jesus is like the dew and the frost: He "condensed" out of the Father's invisible Presence, and made God visible. Jesus returned ("evaporated"--water as a liquid or solid returns back to water vapor) to the Father and sent the Holy Spirit. The Holy Spirit is the water vapor we breathe in and gives us life--the very water vapor we breathe in has oxygen in it. Without oxygen, without His Spirit--life is impossible. Bear with me a few more moments with this analogy. What causes the water vapor to condense out and manifest itself? The cold does. When our lives drop in temperature and feel cold, lonely, isolated and alone, He condenses out and manifests Himself in our lives. How? By refreshing rain and by cool breezes. He gives us hope when there is none and reminds us that He will never leave nor forsake us. When our lives heat up, look far out to the horizon for that small cloud that is forming. There is enough cool air to condense out that water vapor and soon, that cloud will grow and bring rain. One final point: there is a condition that is called a "Triple Point." This is a spot where, with the right combination of temperature and pressure, all three forms of water are co-existing and are visible. Just above freezing, you can see ice floating in a river or lake, with water vapor condensing off the surface as fog. So, water as a liquid, a solid and as a gas all dance together in the cold of winter. In the cold of our winter,the Son stays alongside us, the Holy Spirit buoys us up, and the Father hovers over us. We have our "Triple Point" when the cold hits us.